What type of file will I get for the Kindle? You will be sent a mobi file, that you can upload to your Kindle Direct Publishing (KDP) account at Amazon. Mobi is the native file format that the Kindle uses for ebooks. While you can upload other file formats (like Word, PDF, and even epub) to KDP, Amazon then uses software to automatically convert the file to mobi (see the next question, below). By uploading your own mobi file, you avoid Amazon having to do any conversion. That means your book will look exactly how you want it to look. I can just upload a Word file to Amazon to publish my book. Why should I pay someone to format my book? A very good question! If you upload any file other than a mobi file, Amazon has to use software to convert your file into the mobi format. Because this is being done by a computer, the process is fully automatic. You may have intended the file to look a certain way, but the conversion process doesn’t know what you intend – it just does what it’s programmed to do. The other problem is that Word files (especially for books that have been edited heavily) tend to be “messy”. They may look okay on the screen, but if you look at the hidden information in the file there are all sorts of junk remaining in the file that can confuse the conversion process. Because we convert the manuscripts we receive to HTML, and then edit the files by hand, we can remove all that extra junk. The result is a clean file that displays exactly how you want. What happens if I find some typos after you’ve formatted my book/once I’ve published my book? We realize that no matter how often the manuscript is checked, typos often slip through. For some reason, they often become more visible once the manuscript has been converted to another format (eg: from Word to Kindle – there is something about seeing the book in a different layout that makes the typos easier to spot). We are happy to fix a “reasonable” number of typos for free. We consider “reasonable” to be ~30 typos. If you have more changes, we will have to charge a fee for the time involved. The best way to send us your changes is to use the Track Changes feature in Word. We have a video tutorial on how to use track changes created by one of our editors here. I’d like to add a page or two at the front/back of the book you formatted. That’s easy to do :). Just send us the additional page as a Word file and we can add it to your book. There may or may not be a fee – it depends on how much is being added, and what other changes are required as the page(s) are added. I have several books to format – can I get a discount? Certainly! If you have 3 or more books that you want to get formatted at the same time, we can offer you a discount on the price. The more books you have, the larger the discount. Note that you have to be ready to go ahead with all the books you want to get the discount on. Do you accept Pages documents? Yes, we do! Note – Please don’t send a Pages file that you have exported to a Word document. They often lose the formatting information we need. If you have used Pages to write your book, just send us the Pages file. Can you format my book from a PDF? Except in rare cases (like picture books), we are unable to format directly from a PDF. The problem is that when a book is saved as a PDF, the underlying text within the book is changed – page breaks in the PDF add returns in the text, if hyphenation was used those hyphens are embedded in the text, and sometimes the headers and/or footers are even inserted. While you can save a PDF back out to a Word file, it then needs some work to clean the file up ready for formatting. If you only have a PDF of your novel, we are happy to help guide you in what you need to do, but you will need to do some cleanup work before we can format the book. Can you send me a PDF/Word file to upload for Kindle? If you want to keep your book as just a Word file, you can order a Smashwords version of your book instead of Kindle/epub on our formatting page. You’re still relying on Amazon to convert your book into a Kindle file how you want it to look, but we will remove all hidden the glitches that may have been in your manuscript. Do you upload my books for me to Amazon/CreateSpace/B&N/Apple/etc? Yes, we can! This is an extra service on top of the formatting, and will have an additional fee. Indicate that you want us to upload your manuscript when you contact us, and we will discuss the pricing with you. What font should I use in my manuscript? It doesn’t matter, you can use any font in your manuscript – it doesn’t affect us when formatting. We don’t recommend authors try to force or include fonts for the body text in ebook. While in theory ebooks support different fonts, in practice support is still unreliable and inconsistent (even among just Kindles). There is also the problem that in some cases, forcing the font can mess with the reader’s ability to change the settings in their ereader for font, font size, etc used to display the book (leading to an unhappy reader). We prefer to leave fonts in an ebook as “default”, so the ereader has the most control over how your book is presented (making it easier for them to read). (Using a specific font for headers is a lot less problematic, as the reader can’t control what font is used there, so we don’t have any concerns if that is the only place you want to use a different font). Obviously, when it comes to print books, we can use any fonts you want (although if you want to use a commercial font that we don’t have, you will either need to supply it to us, or we will need to buy the font and charge you the cost of purchase). Do you provide an ISBN? Can you insert an ISBN? We don’t provide you with an ISBN – if you want to include one inside your book (not compulsory), you need to obtain the ISBN yourself. If you plan to use a free ISBN from CreateSpace, you can start your book project before the book is formatted, and just stop after the first stage (where they assign you an ISBN if you ask for one). We can also add the ISBN to the interior of your book later on if you want. What should I use for section breaks in my manuscript? The most popular section break characters are *, ***. * * *, # and ###. But it’s really your personal preference – there is no standard that you have to adhere to. Can you use a graphic for my section breaks? Certainly, that is very easy! We have a large selection available that you can choose from, but we can also use an image that you provide. Can I use a graphic at the start/end of my chapters? Yes, you can – for Kindle/epub and CreateSpace books. For Smashwords, you can have a graphic at the end of the chapter, but if you want a graphic at the start it has to be after the chapter title. What fonts do you use for the CreateSpace book? Our standard fonts are Adobe Garamond Pro 11 for the body of the book, and Myriad Pro for all the headings and headers/footers. But if you would prefer us to use other fonts, that isn’t a problem – just let us know. Do I have to send you the manuscript in Word format? As mentioned above we can accept Pages documents directly, but Word is our preferred format manuscripts that weren’t created using Pages. But we can accept many other file formats – just send us a query, and we can talk! Please note that we cannot accept manuscripts in PDF form. If that is the only format you have, we can help you get it into a Word file, but you will probably have to do a lot of work to it before we can use it for formatting. Can you do picture books? Certainly, we have formatted many picture books in the past. Can you format a book in a non-English language? Certainly! We’ve done many books in different languages (French, German, Spanish, and Polish just to name a few of the languages we’ve worked in), and we would be happy to work on more. Please note that we can’t do books in Japanese or Chinese. I want my Kindle/epub book to look exactly like my Word file! It’s important to realize that ebooks are different to print books (and even electronic formats like PDFs). They put a lot of control (eg: font, text size, even book orientation) in the hands of the reader, and they are intended to be read on devices with all sorts of screen sizes (from a tiny phone to a large tablet). If you try to control the appearance of your text too much, you might be able to get it looking perfect on one specific ereader, but you risk making it look terrible on other ereaders. We have a philosophy of keeping book formatting simple but elegant – your ebook will look good, but if you expect it to look exactly like the Word document you will be disappointed. If you have any specific questions about what will and won’t work, we are more than happy to talk with you about your requirements. Probably! Send us a message, and we’ll let you know. Because we have developed a work flow that allows us to work quickly and efficiently (one advantage to working in HTML). And because we don’t believe in charging $150 an hour just because it’s a computer-related task! Certainly, we have numerous testimonials that you can read. If you are still unsure, we encourage you to contact any of the authors listed and ask them if they were happy with our service. How do I pay?/Do you accept PayPal? We can only accept payment via PayPal. You don’t need a PayPal account to pay – we will send you a PayPal invoice, and you pay it as if you were making any other online purchase. Sounds great! 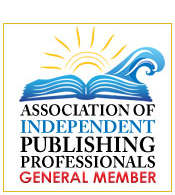 We offer a discount to small publishers. Send us a message, and we can work something out. Are your epub files guaranteed to be accepted by Apple/B&N/Kobo/etc? All the epubs we generate are validated using http://validator.idpf.org/, so you should have no problem with them at any online retailer. If you do get any errors while uploading them, we will work with you until the problem is fixed!